Renting your property to tenants on benefits can seem like a risk – there is a stigma attached to being a benefit claimant and often this is unfair. Many housing benefit claimants are very good tenants, but you don’t generally hear about those in the media. How Does The Rent Get Paid? There are two ways of getting the rent paid if your tenant is a benefit claimant – and the decision is made by the tenant and not the landlord. You may be paid direct by the local authority, or the claimant may prefer to pay you from their benefit . You can only request a change in payment method if the tenant falls eight weeks into arrears with their rent. Even then, it can only be done with the agreement of the tenant. There can also be delays with local authorities when it comes to setting up the payments. What am I Allowed to Know About a Tenant? When you rent privately, you can carry out your own financial checks into the tenant, and get appropriate references. With a benefit claimant tenant, local authorities are bound by the Data Protection Act, and they won’t be able to tell you anything about the tenant’s finances, including whether they have defaulted on tenancy agreements in the past. 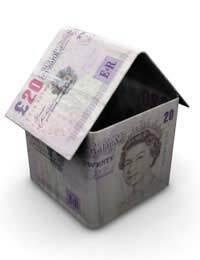 You have to be careful about being overpaid – although the tenant must tell the local authority if they are moving, you should also make sure that you contact them as soon as you are aware they are moving out in order to stop any direct payments – anything that’s overpaid to you will have to be paid back. Having said that, it doesn’t work both ways. Don’t expect the local authority to tell you when they hear a claimant has changed address, they will assume you already know. Another thing to be careful of, if you are paid direct, is that if a local authority finds out that your tenant has been claiming falsely, misrepresenting their income or being paid cash in hand for undeclared work, you will have to repay the rent they’ve paid you. Not the claimant, you. Any benefit paid out to any of your tenants which they are not legally entitled to is considered an overpayment and so will be recovered, which means that landlords who are paid direct have to take the responsibility of paying back the rent on behalf of dishonest tenants. One suggestion is to draft a letter stating that the tenant agrees to you discussing their claim with you. That way, you can avoid problems such as the claimant over-claiming their rent from the local authority, making money and leaving you open to charges of profiteering or over charging.The local authority have the powers to recover an overpayment dating back as far as six years. Landlords do have a right to appeal a claim for recovery of overpayment though. If the local authority pays the benefit to the tenant, there’s no guarantee you will see it. You are responsible for taking any action against the tenant to recover rent arrears. You should tell the local authority though, so that they can look into the case and stop the rent allowance payments until the dispute has been resolved. This isn’t going to be much help to you, though. I am on housing benefit because i suffer from depresion and and anxity,like most people I have a few small debts and a ccj, because of this I fail letting agents credit checks becouse of my ill heath and age I dont have anyone to act as garantor for me anymore. I am honnest, reliable and have always looked after my rented properties oftern sending my own money on them,I have ecently split from my husband and want to be near my friends fr support but I just can not find a home because I carnt find any landlords in my area who are not with letting agents, I just dont know where to turn for help any more I have tried the councils but have been told there is at least a seven month wait. I need a home now because of my health the worst thing is I will now have to gve up my amazing dog who has keeped me going in my darkest times please is there anyone out there who can help me I am looking for a home in the following places: Methwold, Brookville, Stoke Ferry, Feltwell, Brandon, Downham Market. I am a part owner in a property with my son, he still has a mortgage on his half of the property, unfortunetly he now has become unemployed and is in some differculty financially. Question, if I was to buy him out, would it be possible for me to rent the property to him. Would he be eligable to receive housing benefit.